All curled up and cosy. 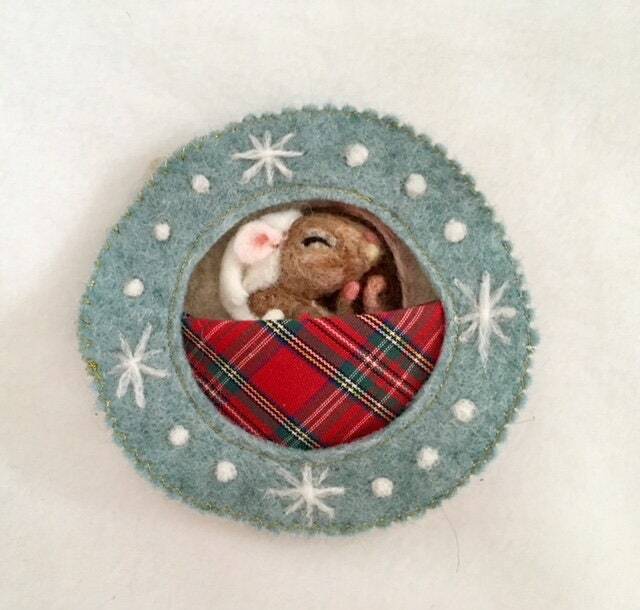 Little mouse sleeps soundly on an oak leaf. 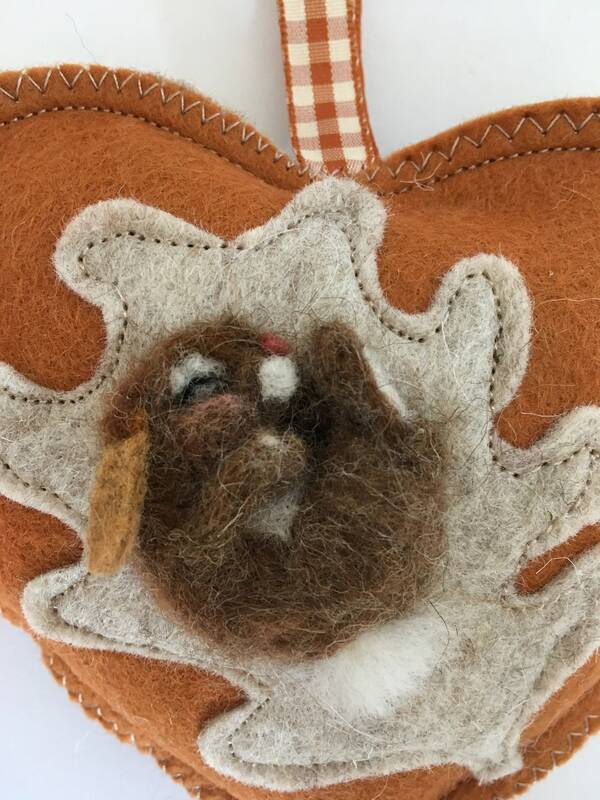 Other sleeping animals are available to order, hedgehog and bunny. 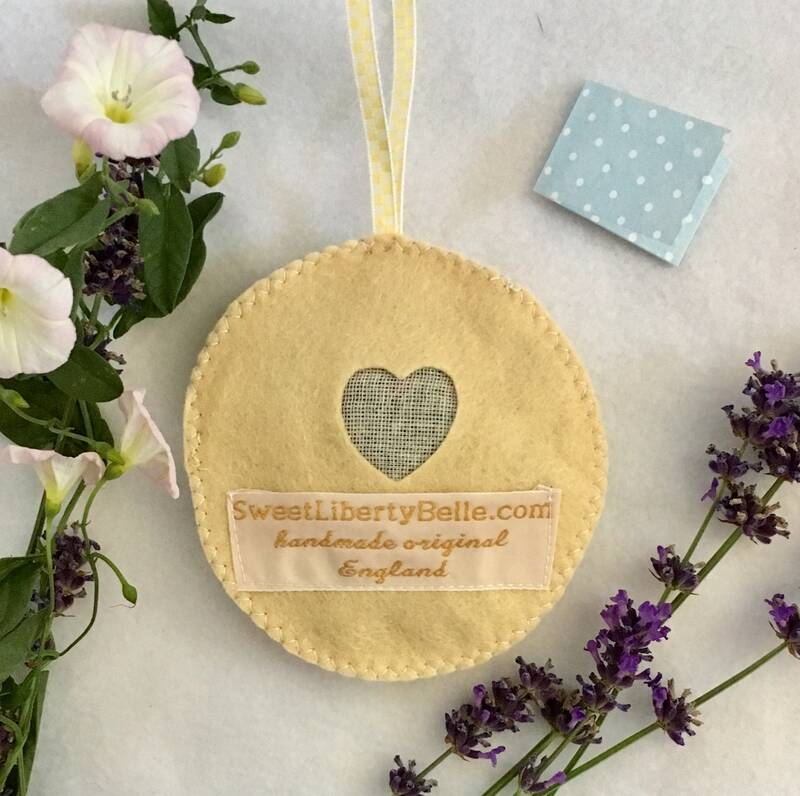 They can come scented with lavender, rose petals or Winter spices - or scent-free, please let me know which one you would prefer when ordering. PERSONALISE IT - I am happy embroider a name or date on the back to make a truly special gift. 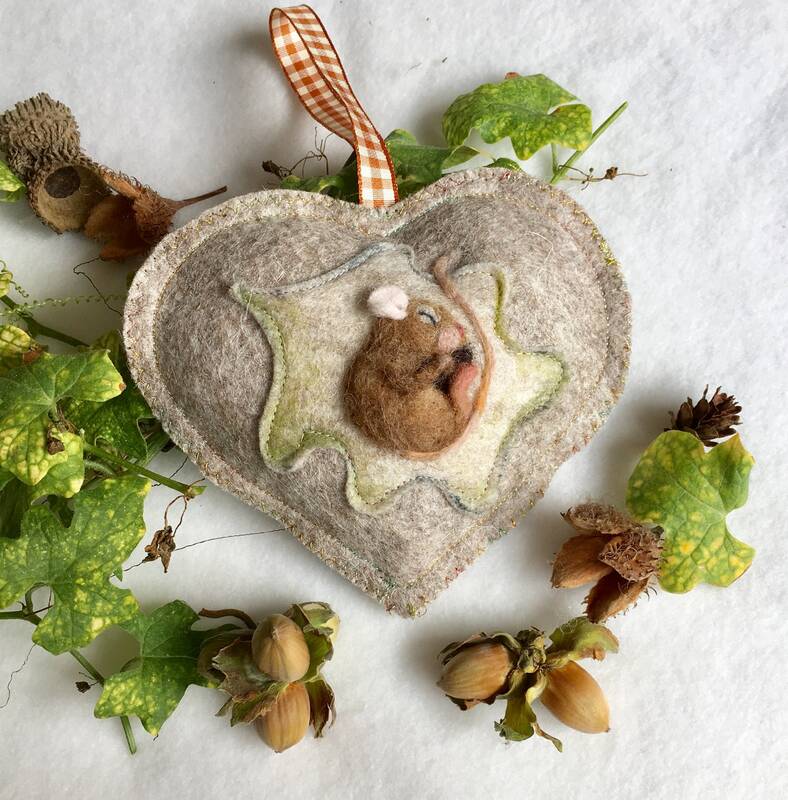 The design is needle felted with Somerset and Scottish wool and the mouse is in Full Relief -The head and body are all 3 dimensional making the ornament attractive from many angles. 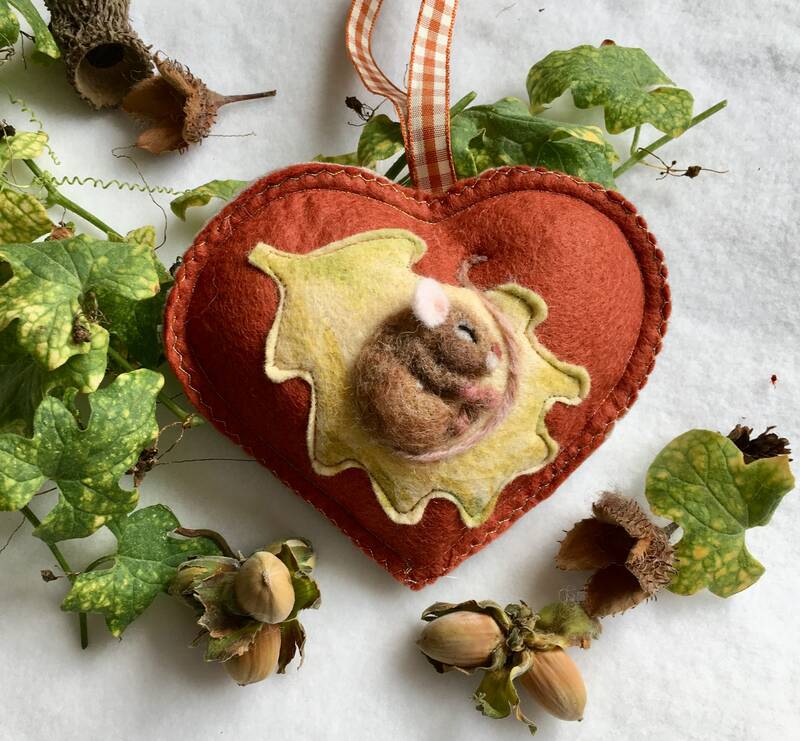 My hanging decorations can be gifts or cards or all in one! They come with a notlet in the pocket on the back. Mouse enjoys being dangled from any handle or peg around the house. An ideal gift for many occaisons - Good Luck, Happy Birthday, teacher's gift, New Home, Baby Shower, Christening especially with their name embroidered on the back. A Tooth Pillow - With a slightly larger pocket on the back these make perfect little tooth cushion.